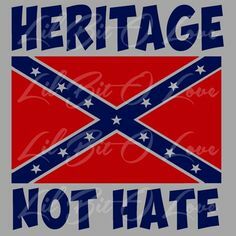 The Confederate flag, along with the Confederate States of America and the CSA’s battle for independence (known as the Civil War) is largely misunderstood and incorrectly taught about. 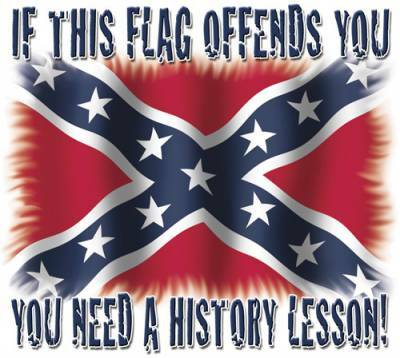 The Confederate flag, nor the CSA is, nor was, racist, a symbol for racism, nor was the Civil War about slavery. The U.S. 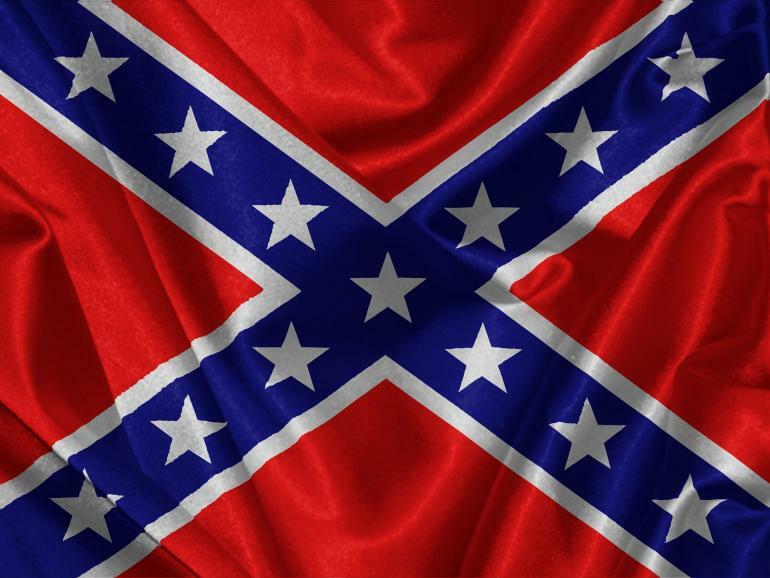 Flag flew over slavery a full 70 years before the Confederate States of America came into existence. 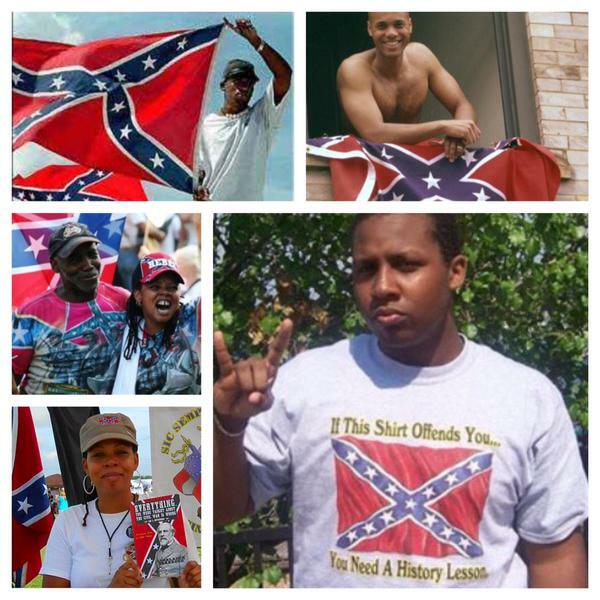 The Confederate Flag never flew over the Ships that brought the slaves over here. To top it all off, the Confederate States of America freed her slaves in 1863; the Federal Union didn’t do it until 1868 with the passage of the 13th amendment. 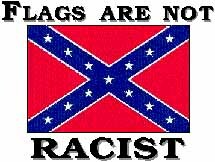 The Confederate flag was a more egalitarian flag than the Union flag, in that it had integrated troops within its army. In the Union army, the black troops served in their own divisions and served under white officers. These troopers saw very little combat; they mostly served in servile roles, serving mostly as laborers and personal servants to the white officers. The Confederate Army used Blacks both as Soldiers and laborers. The Black Soldiers in the Confederate Army were paid the same rate as the White Soldier, they were paid more If they served as laborers. More than 75% of whites in the south did not own slaves. At no point in time, before the civil war, did Lincoln ever mention abolishment of slavery. During the civil war, the Emancipation Proclamation was specifically leveled against states that had seceded; four slave states that remained in the union were unaffected by the order. There was a standing gag order in Congress preventing them from even talking about slavery, much less abolishing it. Until about the time of the Dred Scott decision, abolishionists were largely thought to be the “lunatic fringe,” and most of what they said was ignored by the legislatures of the federal and state governments. A very interesting fact on slavery is that at the time the War of 1861 -1865 officially commenced, the Southern States were actually in the process of freeing all slaves in the South. Russia had freed it’s servants in 1859, and the South took great note of this. Had military intervention not been forced upon the South, a very different America would have been realized then as well as now. The North fought the war over money. Plain and simple. When the South started Secession, Lincoln was asked, “Why not let the South go in peace?” To which he replied, “I can’t let them go. Who would pay for the government?” Sensing total financial ruin for the North, Lincoln waged war on the South. The South fought the War to repel Northern aggression and invasion. The US flag flew over a slave nation for over 85 years! The North tolerated slavery and acknowledged it as a Division Of Labor. The North made a vast fortune on slavery and it’s commodities. It wasn’t until the South decided to leave the Union that the North objected. The North knew it could not survive without the Southern money. That is the true definition of hypocrisy.